Clay Guida is not writing off B.J. Penn just yet, regardless of what the outside world and Penn’s recent win-loss record might say. Although many people would not consider a victory over B.J. Penn at this stage of Penn’s career meaningful, Clay Guida did not hesitate at the opportunity of sharing the Octagon with the legend and does not feel that it’s his place or anyone else to tell B.J. Penn when it is time to call it quits. Do you agree with Clay Guida? Should it solely be up to B.J. 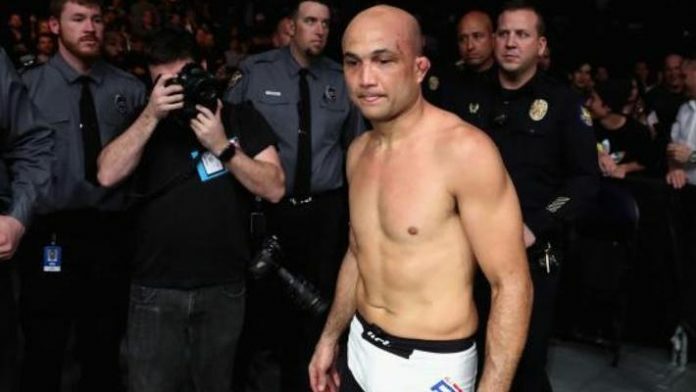 Penn if he continues fighting or not?